Earlier in August, the ACLU sent a letter to the city of Lancaster demanding they stop praying in the name of Jesus before city meetings. The letter stated that these “sectarian prayers” violate the U.S. Constitution’s ban on establishment of religion. Lancaster Mayor, R. Rex Parris responded by opening the following city counsel meeting by praying in Jesus’ name. At that meeting the city council agreed to evaluate their rules about prayer during their meetings. On Tuesday, August 25, they voted unanimously to adopted new rules for invocations. 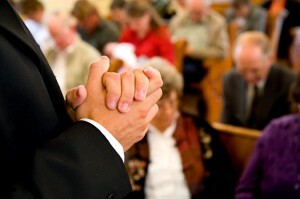 The policy allows the individual asked to pray authority to pray specifically to his God. The council asked me to pray to open up the meeting yesterday. I was honored to pray in the name of my Saviour, Jesus Christ. When the proceedings began I was able to testify in favor of keeping prayer uncensored in our country. I told the council that when I’m asked to pray, I will pray in the name that I believe is above all other names—the Lord Jesus Christ. There were a few who spoke against the proposed rules, but the overwhelming message from the citizens who spoke and the city council was supportive. Tuesday night was not just about freedom of prayer, but it was a question of whether or not the city would seek God’s guidance for governance. I thank God that I live in a city with elected officials who want to seek God’s wisdom. Please pray that our freedoms will be preserved and our elected officials will make the right decisions.